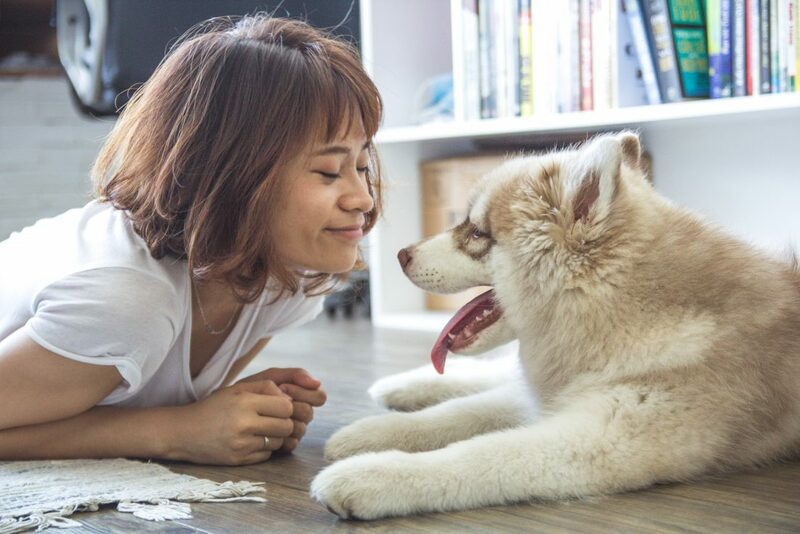 It’s recommended that the average adult gets around 30 minutes of exercise a day, but with a dog you can get much more, and have fun in the process! Trying to lose weight? Maybe you just want to increase your endurance? Boost your mood with some vitamin D? You can accomplish all that while having fun with your best friend. If you need some fitness inspiration to get started, you’ve come to the right place! Dogs are natural athletes, and just love being active and outside. If you have limited time, consider talking your pup for a walk or run around the neighborhood or to the local dog park. 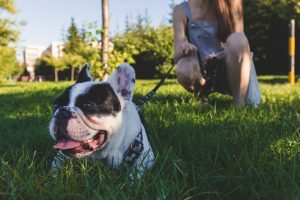 Dogs love being out in nature, and there are plenty of trails that are dog-friendly. Just make sure to bring lots of water and a waste bag! Does your pup love the water? Consider bringing your dog for a game of fetch, or along for a ride on your paddle board or kayak. Craving some zen? Need to perfect your downward-dog? There are now yoga studios that host animal yoga events. Dogs just love playing with you while you are trying to conquer your pose! Walking your dog around the neighborhood or playing at a park can also be a great social activity for you both. 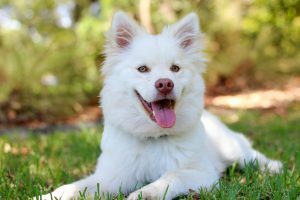 Dogs are natural extroverts and are always eager to make new friends, which in turn helps their owners meet new people. Everyone loves to share stories about their best friend, and what better audience than a fellow dog lover? Dog friendships often lead to strong human friendships too. Our friends Jessica and Lindy, founders of The Real Dog Moms of Chicago, began their friendship as their dogs bonded at the local dog park. 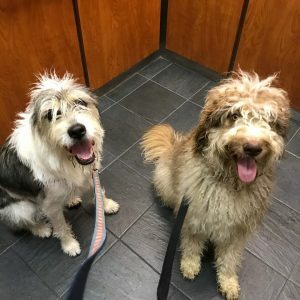 These passionate dog owners realized they had similar goals in life, and began hosting charity events to raise awareness and support for local shelters. Look what beautiful results their two pups helped to produce! We will be sharing space at various farmer’s markets with them this fall. While people learn about how 360-video can help them find their perfect pet, they can purchase their charity calendars benefitting Trio Animal Foundation. Make sure to visit www.petgotchaday.com to see the schedule. Dogs don’t just make your heart grow stronger with love, they make it healthier too. Studies show that owning a dog is associated with lower blood pressure and lower cholesterol levels. This results in a higher cardiovascular health and decreased risk of heart attacks. For those who have suffered a heart attack, having a dog greatly increases the chance of a speedy recovery. You can talk to your dog about anything, and best of all, they don’t judge you! 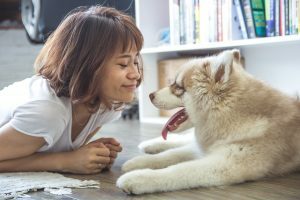 Having a dog around means you’ll never feel lonely, which can considerably lower your risk of depression. Spending just a few minutes petting or playing with your furry best friend can also lower anxiety and stress levels. Situations such as moving to a new city, divorce or the loss of a loved one can all contribute to feelings of anxiety, loneliness, stress and depression. During any tough life event, it’s beneficial to have a companion on your side. To get back your mental and physical well-being, consider the help of a dog. They’ll never leave your side! Feel like you need a sense of purpose in your life? 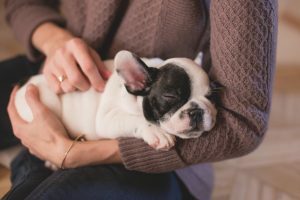 Research shows that owning a dog will help! As people get older, especially during retirement, they sometimes have a hard time to find meaning and structure in their life. Having a dog around requires you to have a schedule and participate in chores to take care of their well-being. Feeding, grooming, training, walking and entertaining a dog keeps you busy, and keeps them happy. We personally know a strong woman, our founder Erica, who found new meaning and purpose in life after a divorce. During the divorce, she suffered from anxiety and was uncomfortable being home, so much so that she found any excuse to not be there. She soon realized that her new lifestyle was not fair to her dog. She decided that she needed a positive change, and began focusing all of her time and energy on her furry friend. 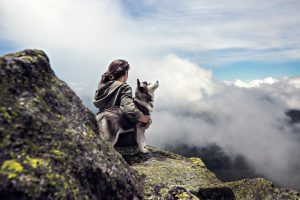 By playing, communicating and walking her dog she started to feel more focused professionally, personally and spiritually. This led to living a life full of positivity, meaning and purpose, and drove her to continue creating the life she is proud to live today.